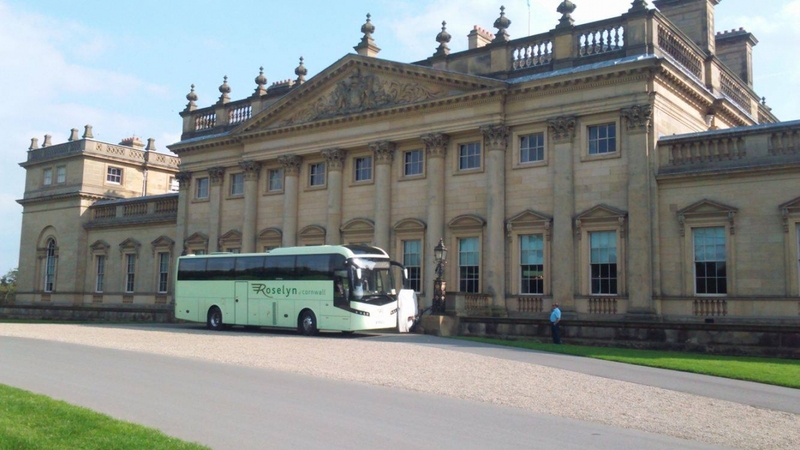 Roselyn Coaches has an extensive range of modern coaches that are available for private hire, with nearly 70 years’ experience and a range of different vehicle sizes we can arrange for all types of private hire trips at competitive prices. Our professional, fully uniformed and punctual drivers will make sure that your journey runs smoothly and that you arrive at your destination feeling relaxed. You can always hire a host/ess to take care of your delegates. Keeping your coffee cups full and your passengers happy. You can choose from one of our luxury coaches seating 49 right up to 71, complete with air conditioning, on board toilets and hot and cold drinks facilities (products not provided unless requested). Our vehicles are available for hire for any occasion whether it’s a day trip to the races, an weekend break or an European tour. Our vehicles are maintained to the best standard so when you are in the safe hands of our professional drivers you can be rest assured that your day will run as smoothly as possible. To request further information on our private hire’s and Cooperate services please call us on 01726 813737 or simply click on our get a quote section for a fast and easy response.